We have to wonder how the opinions of the politicians must have changed to make such different political choices. 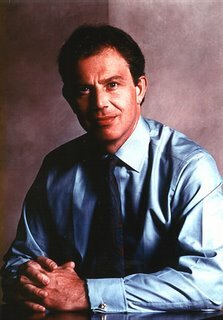 Tony Blair decided once upon a time to support the civil liberty laws etc; was that his own moral judgement? Or was he just following the general opinion, as he seems to have done in more recent years. Until you mentioned it, I hadn't really considered the implications of the Internet on real world meetings. Personally I certainly feel the need to discover other people like me. But finding people on the Internet and being more open with straight real-world friends seems to take the edge off that need. Maybe that reduces the motivation to seek out people in real life. I don't know, but maybe this is a good thing. Does it perhaps demonstrate that bisexuality is more accepted in this country? If we can find support and understanding in our everyday lives, that would be an excellent replacement for specific meetings. Dizzy, I wonder that too. I guess it has to, at least partly, to come down to gay activists lobbying for a change in the law. Also, politicians saw that the mood of the general public had changed. For instance, when Elton John and David Furnish got married this year, crowds lined the streets. That would have been unimaginable until really recently. Al, I certainly agree that support and understanding in one's everyday life is the most important thing. But some people do need more specific real-world help and support from people who don't know them. That seems to have completely disappeared. There is very little UK bi scene any more - certainly the only thing there is in London is a once a month drinks in a pub. I tried to comment on this ages ago, but Blogger was acting up. And I just discovered I saved the comment, so now I will try again! "Yes, the internet is not 100% brill. My active memebership of real world communities declined when I became a mother, so I don't really know how they've been affected. But it does worry me sometimes how much time I spend chatting to people on the internet vs the amount I do in real life. Still, I do like to meet online friends in the flesh. And it's great when that turns into separate offline friendhsips - which it does, often enough for it to feel well-balanced. As for sexuality... I "turned" from lesbian to bisexual in 1990, which was a bad time to do it - particularly as most of my lesbian friends were radical feminists. I became ostracised, and when I ended up in a relationship with a man, the impetus to be a part of any kind of bi community waned. Now my bisexuality is something I'm open and talkative about, but that's it really. I don't feel like a part of any kind of community, because let's face it - I don't need to be. I fancy women, but as the person I've settled down with has just happened to be a man*, I generally don't act on it. Except that I seem incapable of writing about straight people. So it's my life as a fiction author that has brought sexuality back to the forefront of my life. *Me settling down brings me back to that late-80s anti-bisexual lesbianism, though. As soon as I acknowledged men as potential sexual partners, it became very hard for me to meet anyone except men who would shag me: the women were too busy judging me for sleeping with the enemy. So it became almost inevitable that I would end up in a relationship with a man. That and the fact that, as a proportion of the general population, there are more straight men than non-straight women around to choose from." It certainly used to be true - more so than now, I think - that you "weren't allowed" (by other women) to have sexual relationships with women unless you had categorically given up men. That hit me too.